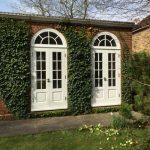 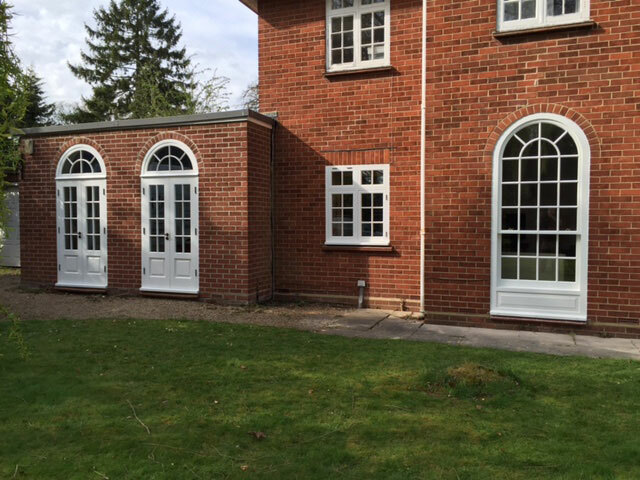 Kirkman Joinery were contacted in the early stages of 2015 by the owners of a property in Chalfont St Peter, Buckinghamshire, regarding the supply of bespoke sash windows and curved top door sets. 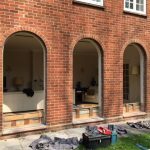 Following a site visit and consultation, it was agreed that the property required us to manufacture and fit a set of bespoke sash windows to accommodate pre-existing arches, and complementing door installations. 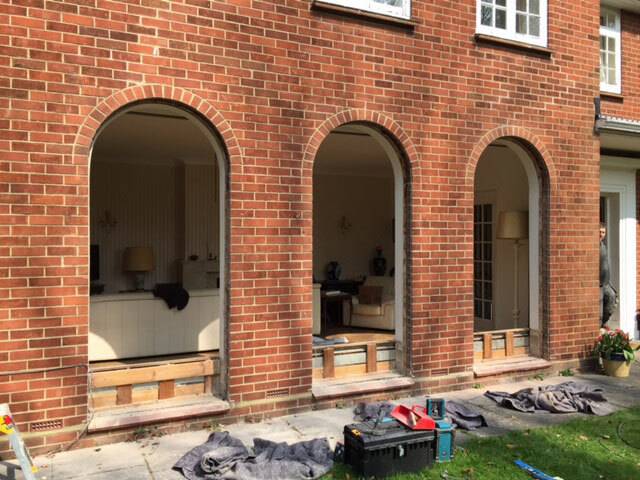 With decades of experience carrying out bespoke joinery projects, Kirkman were the ideal choice for the project. 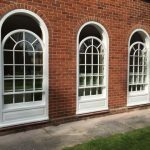 Products & services: The installation of three bespoke curved sash windows and curved top door sets. 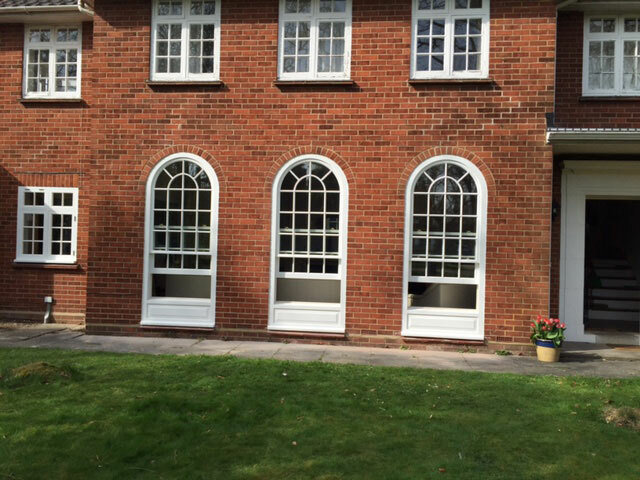 To provide the owners of the property with windows and doors which perfectly suited their home and the surrounding area, we designed, manufactured and installed three beautiful, large sliding sash windows into pre-existing brick arches across one side of the house. 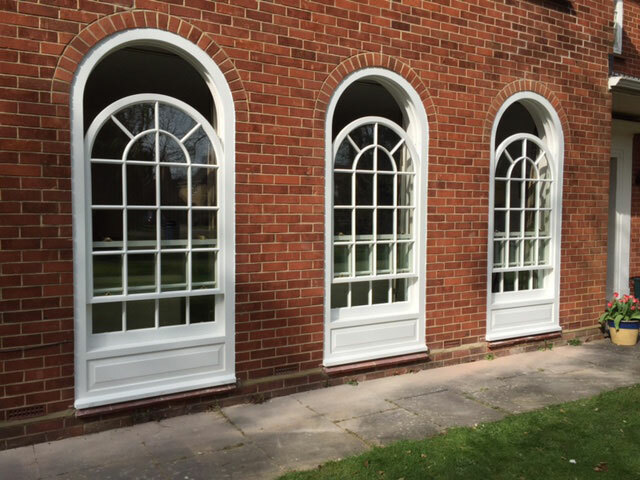 With their curved tops, our sash windows perfectly fit the property’s existing architecture and provided the owners with ample amounts of light and ventilation. 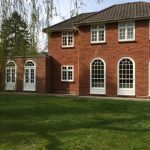 To ensure a smooth and consistent operation, the sash windows were installed with spiral balances, and to maintain a traditional aesthetic in keeping with the rest of the property, they were also fitted with additional duplex bars. 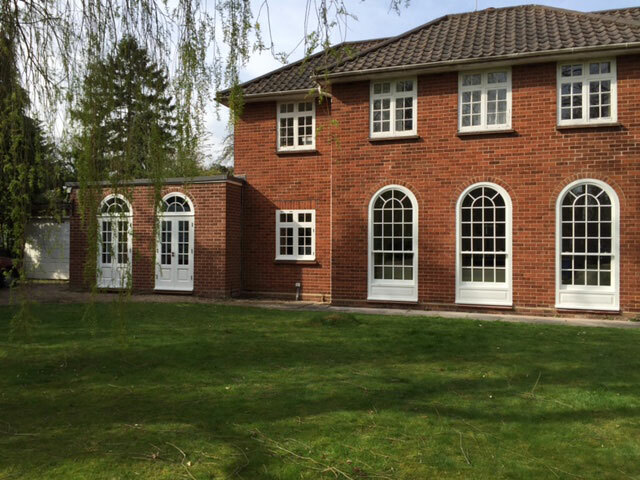 In addition to their appealing aesthetics and faultless operation, the windows were supplied with double glazed units, meaning that they not only looked stylish, but were energy efficient and cost effective. 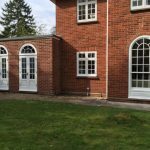 The owners of the property also requested that Kirkman also install top door sets alongside the three curved sash windows. 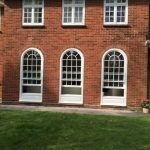 To complement the installation of the curved sash windows, we were able to provide the owners with top door sets in a similarly arched style. 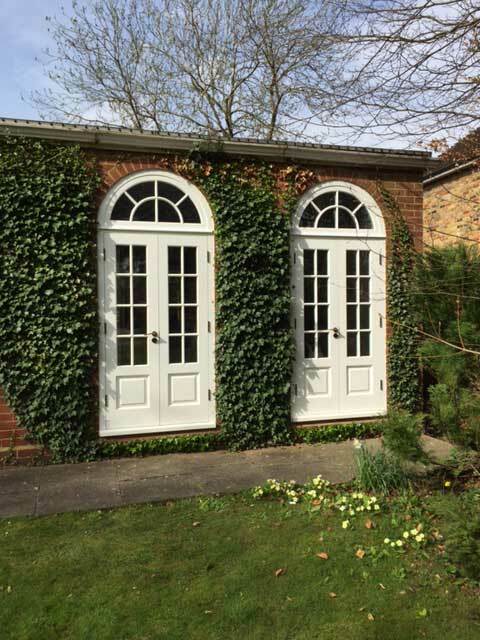 Made from laminated softwood, we finished them in Dulux Weathershield paint for greater levels of durability, providing them with up to eight years of all-weather protection in exterior use.